We have had an overwhelming response to the offer of memorial benches to be built and placed on site and we continue to send out the offer to all owners who may wish to do this. We have had 15 ordered to date! The fee to have a bench built and placed on site in the area of your choice is $450 + tax. 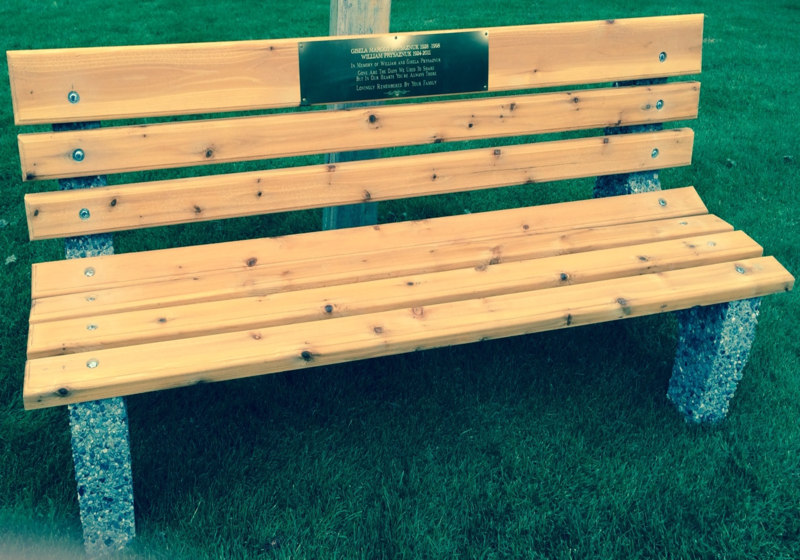 This includes all materials to build as well as a plaque dedicated to your loved one. If you are interested in having a bench built in memory of someone, please contact Elizabeth Young at OfficeMgr@MSVillas.com or call her at 1-855-345-6341 . Once complete, the bench will look like the one below.